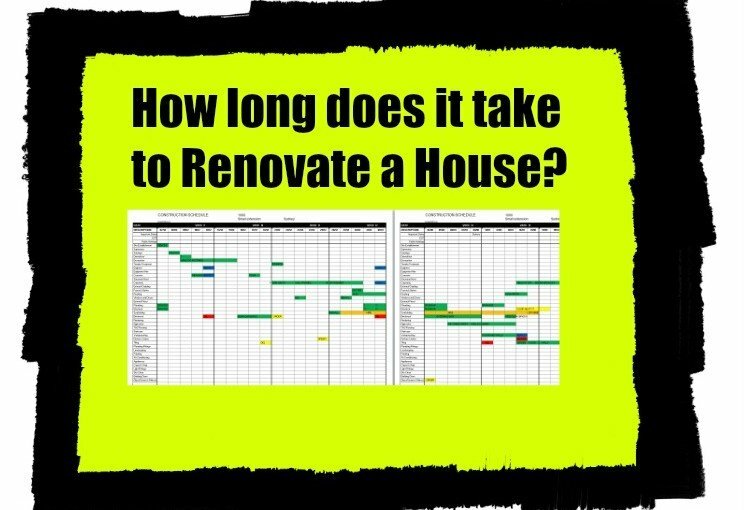 How long does it take to renovate a house? The average home renovation takes between 4 to 8 months, there are exceptions to this rule with some projects being minor or major in size, but most home renovations will fall somewhere within this timeline. 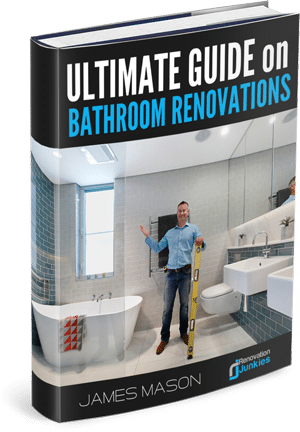 If you are fully renovating or remodelling your house chances are it could take up to 6- 8 months or even more if you are adding large spaces with architectural detail, but if you’re just doing a kitchen and bathroom with some minor cosmetic changes then it could be a just matter of weeks or months. My general rule of thumb that I have discussed before on my Becoming an Owner- Builder post is it should take on average between 4 – 6 weeks of build time for every $80,000 dollars you plan on spending. I.e. if you were looking to spend $150,000 , build time could be between 7.5 weeks and 11.25 weeks, or if you are spending $500,000 (Calculate as follows 500K -:- 80K = (6.25 *weeks) = 25 weeks or 6.25 * weeks = 37.5 weeks or approx 9 months). Now this is not an exact science but looking back over my data on completed projects that I’ve constructed over the last 15 odd years I can say it comes pretty close this figure. To clarify the above I’m only talking about build time on site, I.e… When you strike your first blow with the hammer to vacuuming the dust off the floor for the last time. It’s the preliminary work off site before starting that also needs to be factored in. The preliminary stage for most projects (if done correctly) can and probably should, take just as long as the construction time on site. What other time needs to be factored in? 1. 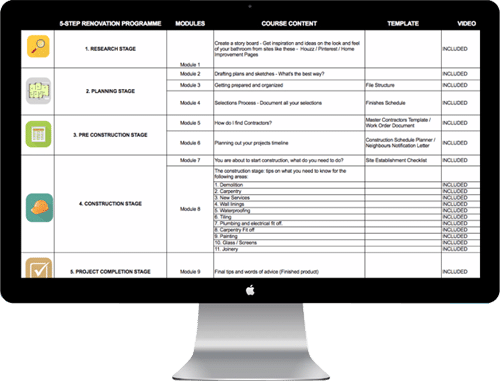 The Research Stage – 2 weeks to 2 months or more. 2. Plan Stage – 2 months to 6 months or more. 3. Pre- Construction Stage – 3 months to 6 months. 4. Construction Stage – As above 4 weeks to 6 weeks on average per $80K of building cost. 5. Project Completion Stage. – 3 months. Now if you are reading this article you are probably in one of the first three stages, more than likely in the initial research stage. The Research stage is when you have first decided that you want to renovate your property and you start to do your homework. You will start by working out what you can afford to spend, start looking at the style of renovation you want, searching blogs and social media for ideas and inspiration, talking with other people who have renovated, and generally start to build an idea in your mind of what you want. Depending on how much homework you chose to do you could be looking at anywhere from 2 weeks to 2 months for this stage. TIP – Keep an organized filing system during your Research Stage where you can store all your information and ideas that you come across, this will help to communicate your ideas in the next stage of the process. Plan Stage. This stage is where you get your ideas out of your head and down on paper in some form of a plan of sketch. So how long should this stage take, well depending on how many revisions you end up with from your initial concept drawing and the scale of your project it could be anywhere from a few months to six months or more. I discussed this stage in more detail previously and I suggest checking it out to get a full understanding of the process. I know for us it took 6 months to get our plans ready for the “Small Space Big Build Project”, and over 12 months in total before we were ready to start on site. Pre Construction Stage. 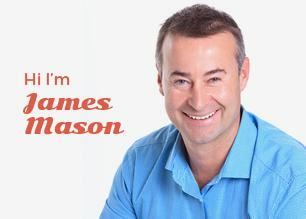 This stage consists of getting approvals from the relevant authorities, and here in Australia it is referred to as a Development Application (or DA for short). Along with getting your approval granted their is also time required for mapping out the timeline and schedule for your works, organizing trade contractors and material supply quotations, the selections process which I discussed in detail on in a previous post for all of your fittings like – taps, tiles, windows etc and much, much more. In my opinion the Pre Construction Stage is the largest most time consuming stage out of all the 5 stages, and one you really need to put a lot of work into to insure a smooth running project. In retaliation to timing it really does come down to how complex your project is. If you are doing a small relative simple renovation (i.e….$100K) 3 months may get you out of trouble, but for larger projects 6 months worth of planning may be closer to what it actually takes. Lastly after the Construction Stage is completed (wont go into to much detail on this stage now other than the times mentioned above) the final stage will be the Project Completion Stage. This stage takes into account all the requirements for obtaining final sign off by the relevant authorities. You will be required to obtain an occupation certificate upon completion of the construction works (will not be required for smaller renovations where a DA approval is not required). There are also warranties and defects liability periods that you should enforce with your trades and contractors to make sure you archive a high quality of finish. Some defects liability periods on average are around 3 months after the contractor has completed their work, so I would generally allow another 3 months at the end of the renovation to encompass all of the warranties and liability periods. So there you have it, I know its a lot of info to take in, but we are only just scratching the surface. Each one of these stages will have its own complexities and special requirements based on your own individual project, its my job to try and lay out as much of that information as possible so that you can educate yourself on some of the items that will get thrown your way during the course of your renovation project. I hope this information comes in handy, please feel free to drop any questions in the comments section below. Until next time, happy renovating.